This section describes the TICS IntelliJ Plugin. This plugin can be used in IntelliJ IDEA 2017.2 and later, as well as Rider 2018.1 and later. There are two ways to install the IntelliJ plugin: manually or through the TICS Installer. When getting to the TICS Add-ins dialog, select IntelliJ. 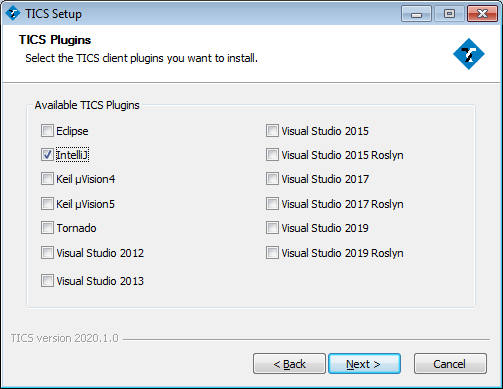 Add the TICS Plugin to IntelliJ without installer. In order to install the TICS IntelliJ plugin manually, you need to manually download a zip distribution of the plugin. 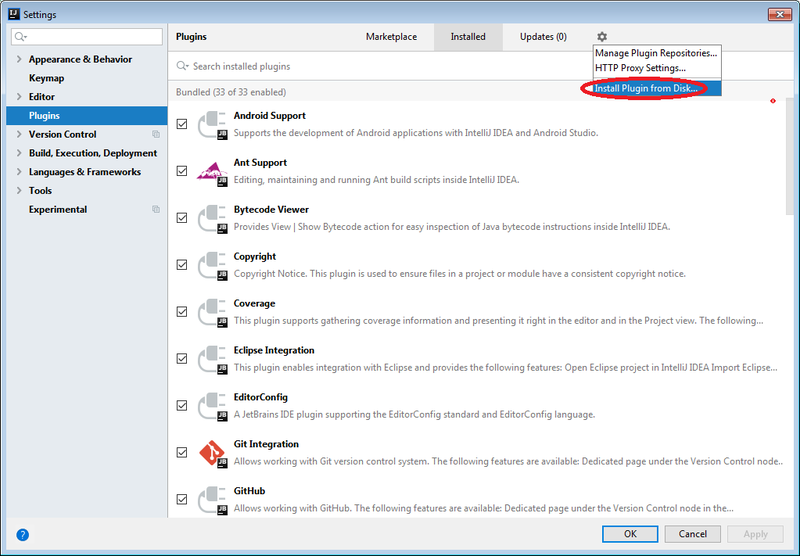 Follow the steps to add this plugin to your IntelliJ environment. 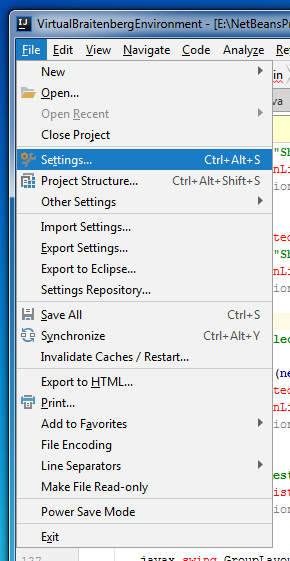 Start IntelliJ IDEA and locate the Settings option in the File menu. Within the Settings dialog, locate the Plugins section. 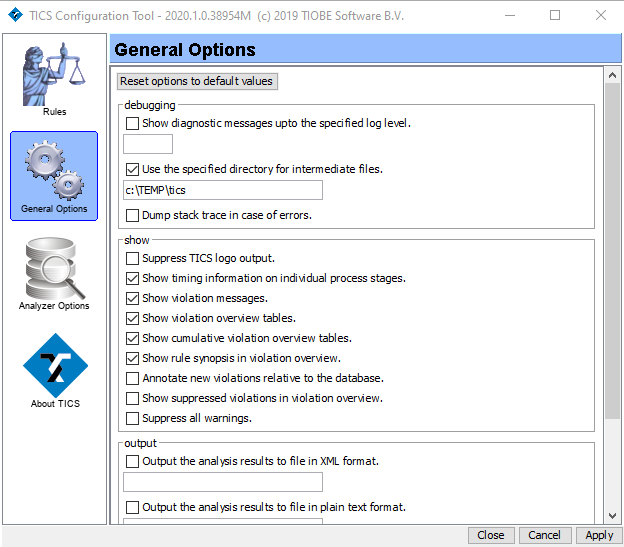 Click the Install plugin from disk... button to open the Choose plugin file dialog. The IntelliJ Choose plugin file dialog. Restart IntelliJ. The plugin should now be loaded at startup. The TICS IntelliJ Plugin provides a toolbar with four buttons. The IntelliJ workspace with the TICS buttons. 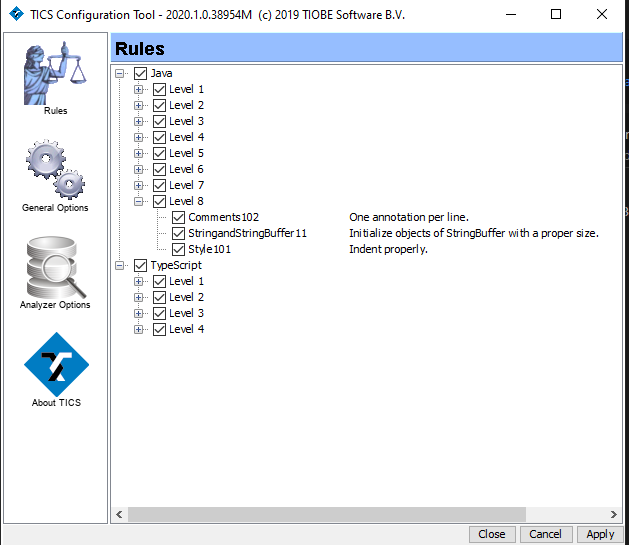 The rules are categorized by language and by level. Rules can be switched on and off per level or individually. 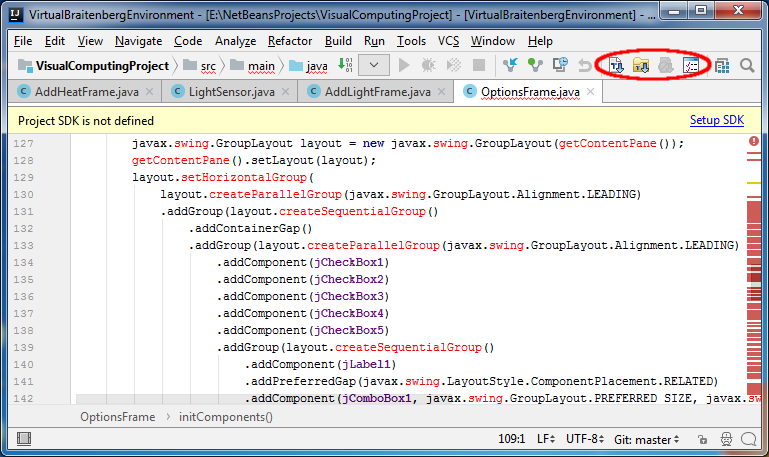 If a rule has been switched off it is not shown anymore in the output window of IntelliJ. 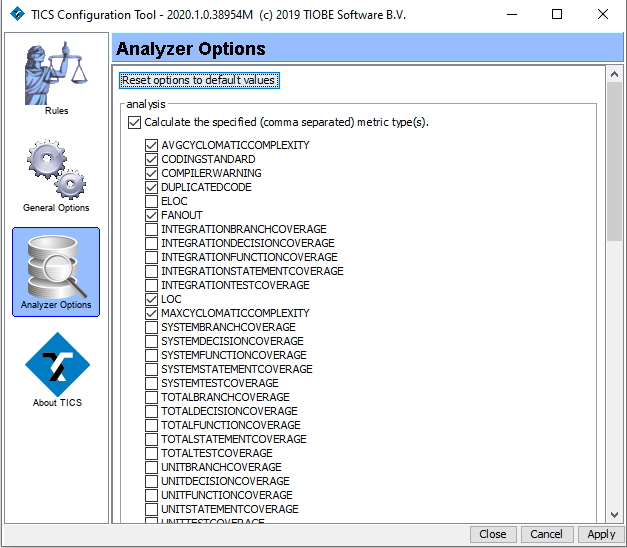 Note that hidden violations are still detected and being used for statistical overviews. You can right-click on a rule for its documentation. The settings specified by the user are saved in the HIDDEN.txt file.